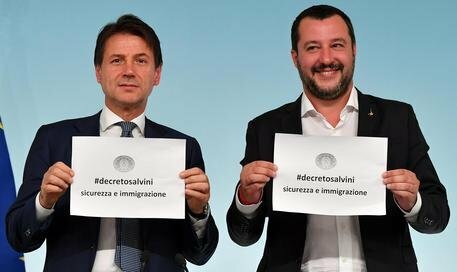 What has concretely changed with the Salvini decree? 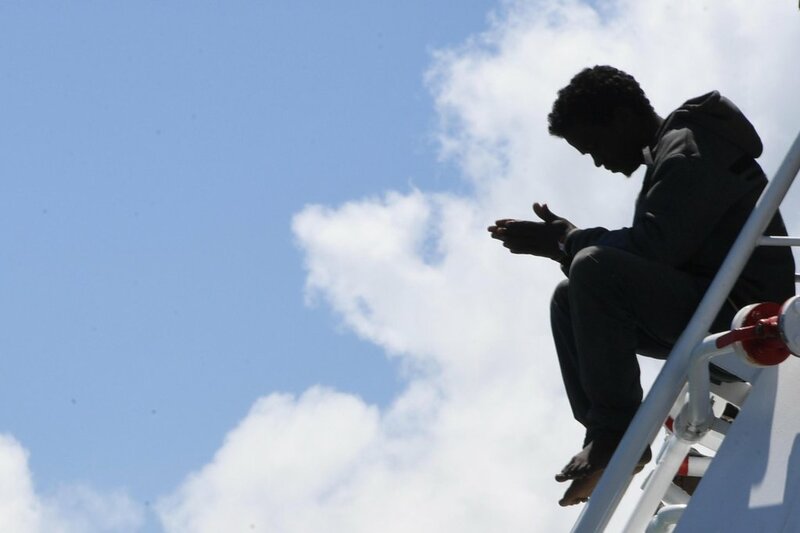 There seemed to be a lot of confusion about what the decree really means for migrants and asylum seekers within Italy and what concretely has changed. We asked Gennaro Santoro to outline the main changes and what that might mean for people undergoing an asylum process at the moment in Italy. One of the biggest changes is that the old category of ‘humanitarian protection’ has been removed. The time that migrants sent to CPRs centers (Repatriation Centers, Centri di Permanenza per i Rimpatri) has been lengthened. There are new methods of granting and removing Italian citizenship. 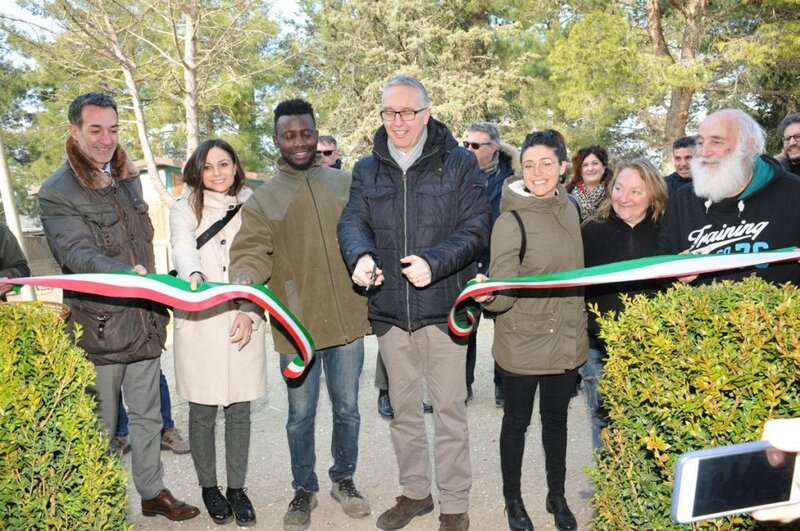 The SPRAR system (Sistema di protezione per richiedenti asilo e rifugiati – System for the protection of asylum-seekers and refugees) which was designed by previous governments to facilitate integration, will be modified. In the future, the system will only look after those who have already received refugee status or some form of subsidiary protection and unaccompanied minors. Asylum seekers will be sent to first-welcome centers run by the government. The changes will be phased in slowly, so those already present in SPRAR projects will be allowed to stay until the current financing for those projects comes to an end. Those who received humanitarian protection status before October 5th, 2018 will be allowed to stay in the centers and SPRAR projects until the end of their current permit, unless the project ends its finance before that. Which types of protection are now offered for asylum seekers in Italy? Special protection (from a law dating from 2008 these are special protections granted by territorial commissions). Protection for special cases. These are various types of cases that would mean you could be granted this type of protection. If you are in need of social protection: if you are the victim of domestic violence; if you have been the victim of exploitation in the workplace. If you are undergoing particularly serious medical treatment. For those who put in their asylum applications before October 5, 2018, but are still waiting to receive a response there is the possibility that they get a two-year permit which is very similar to the old humanitarian permit. This one is convertible to other types of permit when it expires. How long do permits last and how often do they need to be renewed? That depends on the permit. For those with refugee status: You get this from a police HQ (Questura) the first time and thereafter it is renewable via post. If you have political asylum, the permit should last five years. It is renewable. It allows you to study, it allows you to work both freelance and as an employee. It allows you to be employed by the state as a civil servant. It allows you access to national health care. It allows you to sign up to the welfare system (INPS) where you will be given a social security number, a pension etc. and access to maternity benefits, should you qualify. Subsidiary protection: You get this from the Questura too. Anyone who had a humanitarian protection permit issued before January 19, 2008, will be converted to a subsidiary protection permit once the humanitarian runs out. This also lasts 5 years. It is renewable, as long as you can prove the reasons for getting it in the first place are still valid. It allows you to study. It allows you to work as above with refugee status. It allows you access to the social welfare and health service as above. This can also be converted into a work permit. But if you convert it, you lose your subsidiary protection status. Special cases protection: People with these types of protection get given different length permits. Most are handed out for six months with the possibility of renewing for one year. This status can be revoked if you don’t comply with the program you are taking part in or if you commit a crime. You can study with this type of permit and can work as an employee. If you have a job with an unlimited contract or are in the middle of studying when this type of permit expires it can be converted into a study or work permit. If you are a victim of domestic violence then your permit will last one year. You can get access to social services and are allowed to study. You can also sign up to an employment agency to look for work. If you are the victim of workplace exploitation, you will be given six months, renewable for one year. This gives you the right to work. Victims of natural disasters: This lasts six months. It is renewable for a further six months. It allows you to work but cannot be converted into a work permit. If you are rewarded for valor to society: This lasts for two years and is renewable. Allows you to study and work. What does the decree mean for migrants already present in Italy and those who will arrive in the future? Those who have a humanitarian permit which is still valid will be permitted to stay in Italy. When that permit expires, it can be converted (depending on their individual case) into a work permit. Or, if they have grounds to qualify for a special protection permit they will be referred to a commission and have their case assessed. Migrants who arrive in the future will be able to apply for asylum, and if they qualify they will be given either refugee status, subsidiary protection, special protection or a special case protection (see above). What happens to those who already hold humanitarian protection? As reported by ASGI (Associazion per gli Studi Giuridici sull’Immigrazione – Association for Juridical Studies on Immigration) said: Those who had humanitarian protection before October 5, 2018, will keep that protection until their permit expires. If they were waiting for renewal at that date, they will be able to convert their permits at the expiration, or before the expiration date, into a work permit, if they have a valid job contract or can fulfill the conditions for being a freelancer, as long as they also have a passport or equivalent document which is still valid. If you don’t convert your humanitarian protection into a work permit then your permit will be referred back to the commission for assessment. If they find that you are at risk of persecution or torture, you will be given a “special protection” permit, valid for one year. That will allow you to work. It is renewable if the commission finds you are still at risk of persecution or torture. This cannot be converted into a work permit, even if you have a valid contract. If the commission finds that you are not at risk of torture or persecution, you will be issued with a refusal. If you don’t appeal that refusal, you will be removed from the system and become ‘irregular’ unless you fulfill the conditions for another type of permit. We can only estimate how many people might be asked to leave Italian territory as a result of the changes in the law. But we imagine the numbers to be tens of thousands. How many people might be asked to leave Italy because of this new decree? This is difficult to quantify exactly. But we estimate that it could be around 70,000 people. According to data from the Ministry of the Interior from June 30, 2018, there were 48,000 asylum seekers in Italy at that point. 3,300 (6.9 percent) were granted refugee status; about 2,000 (4.1 percent) were offered subsidiary protection; 13,500 (28.1 percent) were given humanitarian protection. As of February 2019, the number of people being granted ‘humanitarian protection,’ which no longer exists, has fallen to 2 percent. 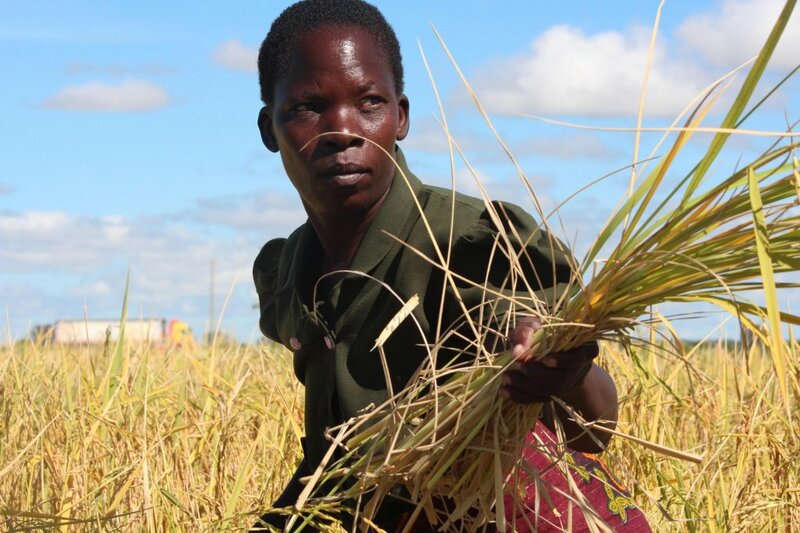 Between October 2018 and January 2019, 8,500 fewer people were offered protection compared to prior to the decree being passed into law. According to a report by Eleonora Camilli, in February 2019 around 82 percent were refused any kind of protection. The law says that people who have been refused any type of protection should leave the territory. But the reality is many of these people don't have passports. So there may be a lot more people in the centers for repatriation in the future, even if, at the moment the numbers haven't risen significantly. What happens to those who don’t have the authorization to remain in Italy? Basically, people who are continually refused protection are asked to leave Italian territory. The problem is that many of them don’t have passports or the possibility of actually leaving. Often they don’t have enough money to pay a flight home either. Those already in centers will remain, as described earlier, until the end of financing for that project. Those who arrive, even if vulnerable, will not be able to enter SPRAR projects. More and more people will be put into first welcome centers and repatriation centers. Is it possible to change lawyers once my case is underway? Yes! The new lawyer just has to register that they have taken over the case. The problem for many is that they fall out of the system because they are deemed to not have a coherent story. Of course there are some people who are lying but others have had so many bad experiences they are scared and find it difficult to trust the authorities and so they often don't reveal details which might have been helpful to their application. I am waiting to convert my permit into a work permit but the document hasn’t yet arrived. Can I visit my country without it? Potentially you can but it is best to take a direct flight. Any changes will complicate the matter. Because you have to send off for this renewal by post, you should have an officially stamped receipt which should be enough on which to travel. That is, only if you are not a refugee. That status means that you can’t return to your country of origin because the reasons you fled in the first place should make it impossible to return. That’s because you would no longer have a passport from your home country and so you wouldn’t be able to seek protection from their ambassadors if there were problems. Even while you are waiting for a document to be renewed, if you have the official stamped receipt you should still be able to travel. But be careful, because not all countries will recognize that document. I thought if you were ill, you would be able to stay in Italy. My friend has been ill for two years and when he took his hospital certificates to the commission, they still refused to grant him a permit, why? A permit for medical treatment is only granted in extreme and serious cases. Their condition has to make it such that if they were to return home their lives would be endangered. If that is the case, the commission will grant a permit but for a maximum of one year, and renewable for as long as the medical condition lasts. It is only valid on Italian territory. It is difficult to comment on individual cases. But generally you have to wait for the Commission's decision before you can move to the next stage. If you receive a negative response, you need to find an association who can help you with legal advice, where you might be able to appeal the decision. I have a humanitarian permit for two years. When it expires, will it be renewed and if yes, for how long? I am now working and I have a work contract. You will have to convert it into a work permit so that you are not just handed a permit that is not renewable or convertible. If you don’t convert it now, your case will be sent back to the commission. As previously described, they will then evaluate whether or not you are at risk of torture or persecution. If you are, then you will be given a special protection but be careful, this needs to be renewed annually and is not convertible into a work permit, even if you have a valid work contract. I am living in a camp and have already had one refusal for my asylum claim. I want to leave this camp and move to a city where there might be more work opportunities. Is that possible and can I move my residence permit from one Questura to another? That will depend on whether or not the commission has already examined your case. If you leave a welcome center without the intervention of the commission then it will be interpreted as you are withdrawing your asylum claim. If the commission has already pronounced on your case then you can apply to move administrations and transfer that way. I came to Italy in June 2016 but I only started my asylum claim in November 2018. Am I affected by the decree or not? It depends on the date you started your claim, not the date you arrived. So you would be affected if you didn’t start until November 2018. See above for an explanation of what you might qualify for. If you previously received humanitarian protection, that suggests that you would not qualify for full refugee status or special protection. Which means your best option is usually to try and convert your permit in to a work permit in order to stay in Italy. I have received three negative answers to my asylum application and I have been asked to leave Italy, what can I do please? You will have to present yourself to the authorities and comply with their demands to leave the territory. It no longer exists. But when it was written into law in 1998, it was for those who didn’t qualify for refugee status, for those who didn’t qualify for subsidiary protection. It was a very broad status granted to people who couldn’t leave Italy because of humanitarian grounds. It was given out by the police headquarters and was validated by the territorial commissions. After three negative responses it is very difficult to remain in Italy. The best route is to try for a voluntary repatriation. I have been in a project center for two years now and they keep asking us to move. 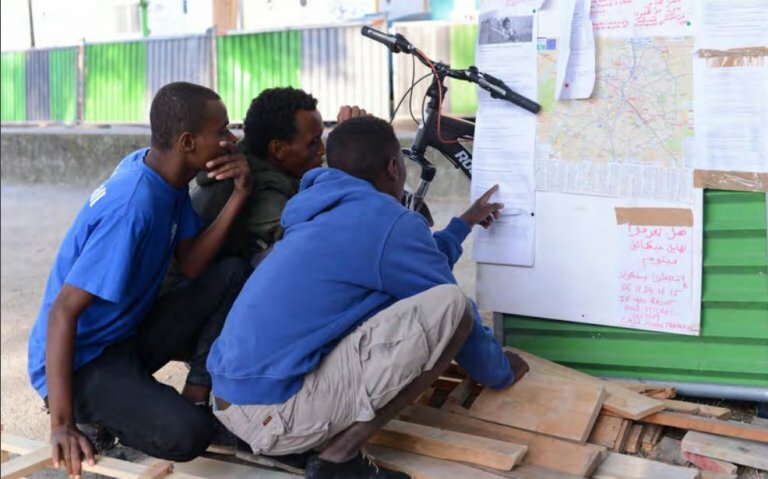 We have told them we don’t want to move anymore but they say we will be removed from the project if we don’t comply, what can we do? It is difficult to give advice without knowing all the particularities of a particular case. If you are in a center then you do have to comply with the rules of the project. However, if you feel you are being unfairly treated, you should contact an association for migrants and refugees who can help give you legal advice to see what might be possible to resolve your situation. I want to know why those who receive refugee status in Italy do not get the same benefits as those in other European countries? I have been a recognized refugee for four years and it is difficult for me to find anywhere to live. I feel like I am going to have to leave Italy to search for a better situation in another country? I don’t agree that Italy offers worse conditions than other European countries. If you are a recognized refugee you come under the same convention as any other signatory to the treaty. If I leave Italy, do I have to start my asylum request from scratch or will my refugee status be valid in another European country? As reported by ASGI, (Information from ASGI) if you have received recognition of your refugee status, or subsidiary protection or humanitarian protection and have been granted a right to stay, then you may travel to any other EU country for a maximum of three months -- as long as your permit is still valid for that duration. You will need either a passport from your country or a valid travel document from an Italian Questura. You will need to demonstrate that you have enough money for a return journey and that you can maintain yourself during your stay. You must not be deemed a threat to national security and not be a wanted person in the state to which you would like to travel. You are not able to work in another EU country and if you are expelled from the country for any reason you will be returned to Italy. Please note: Those who have a longer residency permit are treated differently. After five years, if you have a residence permit as a refugee or subsidiary protection and you satisfy a series of requirements (regarding salary, finances, no criminal record) you can obtain a longterm residence permit for another EU country too. Please note: If you have that long term residency you can also work or study in another EU state if the second EU state wants to take you in, according to its own laws and policies. Some EU states have caps on this type of entrant. Those who have some kind of permit can go to other European countries for a maximum of three months. What do I need to renew my resident permit? This really depends on what type of permit you are talking about and at what stage your request is. But you need all the documents that are listed when you visit the Questura. 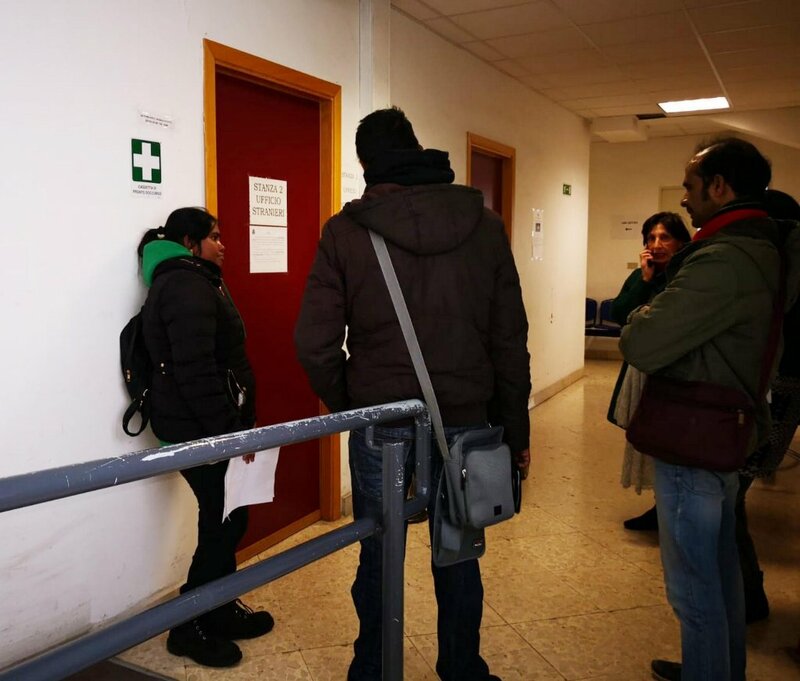 If you are found to not be cooperating with the Italian authorities and not supplying the documents requested you could find yourself receiving a refusal to your asylum process. If someone is attacked in an Italian camp on the grounds of their sexuality or cast, does that make them vulnerable and would it qualify them for a residence permit? An asylum seeker’s situation is assessed on the grounds of their vulnerability in their country of origin. If it is found that the applicant has grounds to expect persecution in their country of origin because of their belonging to a particular social group (which might include sexual orientation or cast,) then that should be grounds to request asylum. 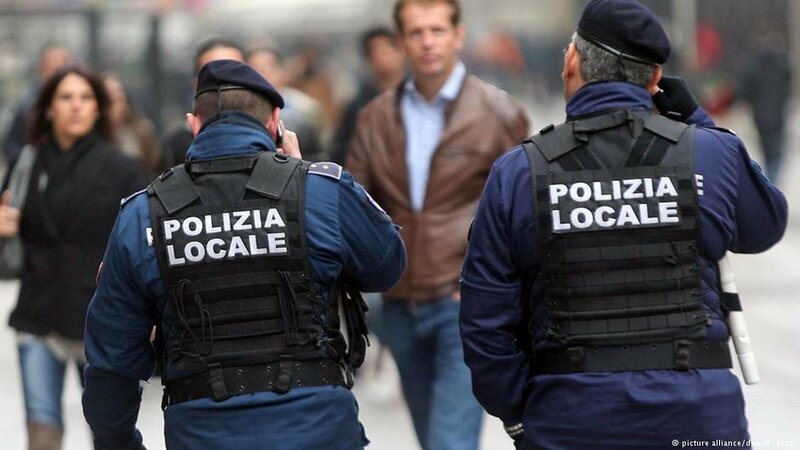 It is possible to be exploited or mistreated in Italy too and if you can prove that then there is a possibility to obtain a permit that way but you will need to report what happened to the police and start some kind of case related to that incident or series of incidents. But this case gets more complicated. Only those who obtain Italian citizenship have complete freedom of movement like all other European citizens. Is it possible to convert my residence permit into a work permit? And can I do that without a valid work contract? You need an official work contract to be able to convert a residence permit into a work permit. If you have been working unofficially then it will be very difficult to justify the conversion. Without an official work contract, it is very difficult to get a work permit. This is often a real problem for migrants and asylum-seekers. If a family consists of a man and woman who are not married, will the rules for families apply to them or will they be treated separately? This is complicated. In a 'traditional' family there are rules to recognize the family based on the working partner. And how much money the person needs to bring in to maintain all the rest of the dependents. There are rules for recognizing a family unit even without marriage but when it comes to applying rules across the adults in the family it is much simpler if the two people in question have a valid marriage certificate. The advice would be to get married if you want to make sure that the rules for the working person will apply also for the dependent spouse. In the case of gay couples, it is best to seek the advice of a lawyer to try and work out what is possible for their situation.